#Strength does not come from winning. Your struggles develop your strengths. 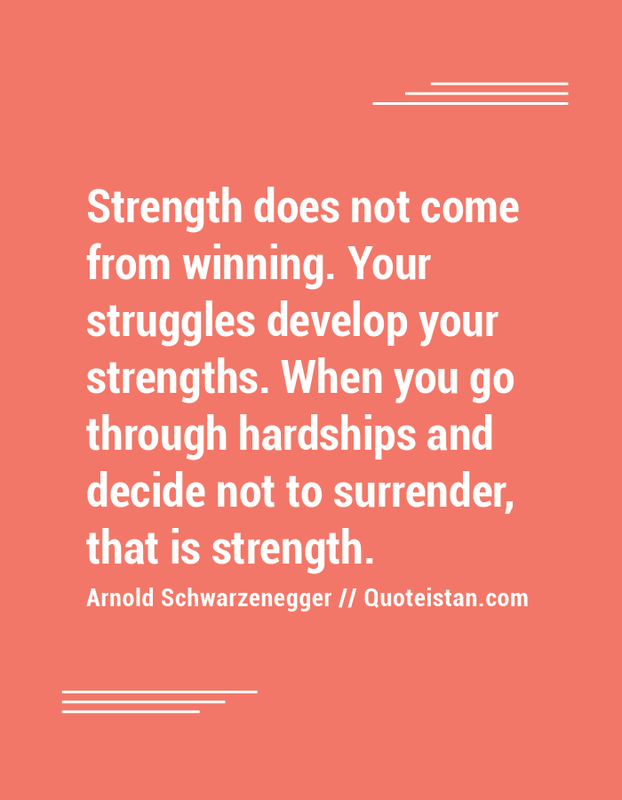 When you go through hardships and decide not to surrender, that is strength.